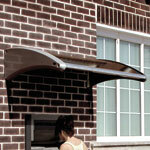 This wall mounted Smokers Canopy has a contemporary design and is available in 3 sizes. 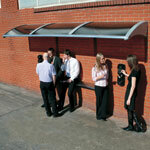 The Carleton Smokers Canopy shelters staff from weather when smoking and is ideal for outside workplaces and businesses. 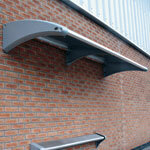 Carleton Smokers' Canopies are available in three sizes to provide partial shelter for designated smoking areas. Carleton Canopies offer protection from the elements without taking up valuable ground space at your premises. The framework is made from 100% recycled cast aluminium for a high quality, environmentally friendly appearance. 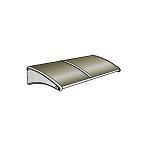 The Canopy is treated with an Armortec® Coating for low maintenance and long-term durability. 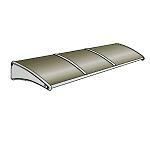 Carleton Canopy's curved design helps natural fall-off of rain or snow. 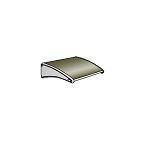 A twin-walled polycarbonate sheet ensures the canopy is strong and long lasting. We recommend the purchase of optional smoking area signage to reinforce your message. Carleton Canopy is ideally partnered with the Carleton Perch Seat and the two products can be purchased as a package, together with the Ashmount SG® Cigarette Bin and dedicated Smoking Area signage. Three standard models available - 1400mm, 2800mm or 4200mm widths. 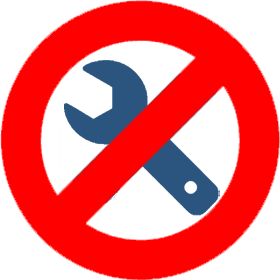 Carleton Canopies are supplied with wall fixings suitable for general brickwork that is in good condition. If in any doubt please seek professional advice. Cast ends: Recycled cast aluminium with Armortec Coating. Connector tubes: Aluminium extrusion with Armortec Coating. Pre-assembled with hassle-free delivery - find out more about why choosing a Glasdon shelter is the right choice for your application.